If after its first weekend the Toronto International Film Festival is so far inconclusive, one thing is truly clear: This year’s TIFF belongs to the women. 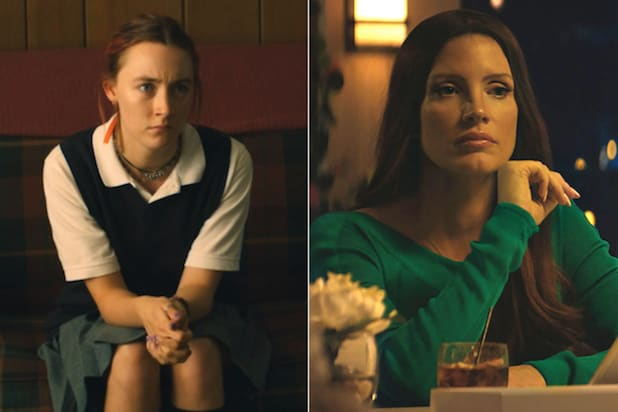 But more than that, the great performances so far at this festival have predominantly come from women, suggesting that this year’s Best Actress race at the Oscars could be more competitive than Best Actor. For starters, there was Saoirse Ronan in “Lady Bird,” bringing vibrant life to a sharp, disaffected teen. There was Jessica Chastain in Aaron Sorkin’s talky, supercharged “Molly’s Game,” and also in “Woman Walks Ahead,” the period drama whose title might as well be the theme for this year’s festival. That’s a small sampling, and there are more waitng in the wings for Monday, when the festival will hold its first screenings of Guillermo del Toro’s “The Shape of Water,” which contains an acclaimed performance from Sally Hawkins”; Andy Serkis’ “Breathe,” featuring Claire Foy; and “Unicorn Store,” directed by and starring Brie Larson. Monday’s other premieres include Angelina Jolie’s Cambodian film, “First They Killed My Father,” Scott Cooper’s period western “Hostiles,” which went over well in Telluride, and Joe Wright’s “Darkest Hour,” with Gary Oldman as Winston Churchill on the eve of World War II. And that plethora of Monday debuts is one of the reasons why TIFF has been inconclusive so far. The rule that says films that premiered at other festivals can’t get a prime booking during Toronto’s opening weekend has produced a Monday night glut, and made it harder than usual to judge the overall quality of this year’s entries. Still, it’s safe to say that George Clooney’s dark comedy “Suburbicon” didn’t rally much from its lackluster Venice debut, and Alexander Payne’s “Downsizing” was appreciated but not universally embraced, while Darren Aronofsky’s “mother!” thrilled some and offended others. And it’s even safer to say that on the first weekend of TIFF 2017, men had to take a back seat to a whole lot of wonder women.